Australia as a continent hosts a unique range of wildlife but seems to be most famous for the group of mammals most often characterized by their pouches. Yes, it’s adorable to see baby marsupials, or joeys, peeking out of pouches, but there is an even more distinct group of animals on this continent that we seem to easily forget are fellow mammals. These are the monotremes – the egg laying mammals. Their most famous representative is the duck-billed platypus which truly was an enigma to scientists. Whether conducting field work or simply enjoying your yard, being outside provides a variety of shared experiences. Unfortunately, one of these experiences is the very likely encounter with ticks. If you’re like me, you can’t help but feel your pulse quicken when you see these critters – and not in the lovestruck way. 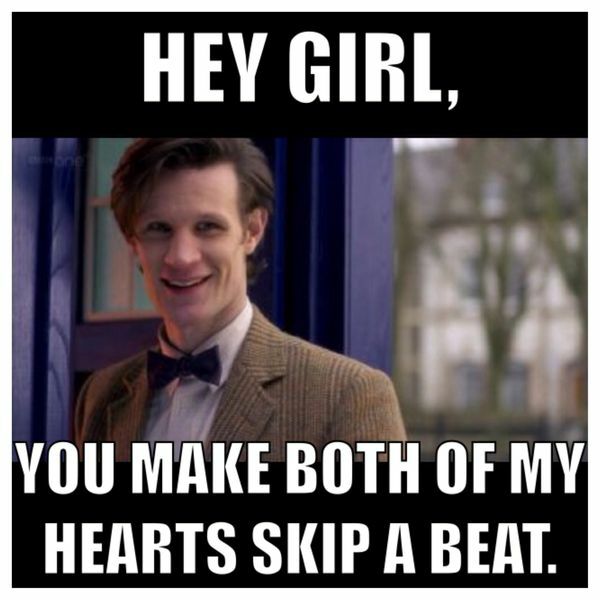 Because Dr. Who memes are perfect. I have vivid memories of leaving field sites and looking down at my pants to start the initial tick check only to feel my heart skip a beat at the horror of the army marching up my pants. Thousands of early life stage ticks all marching for the chance to access to my blood. Not quite the heady feeling lauded in song, prose and internet memes. I begin with a species that is treasured, criticized, even bemoaned and yet it is an icon of the conservation movement; coincidentally, this is the species I’m most frequently asked to explain its worthiness for continued existence. The species in question is the giant panda (Ailuropoda melanoleuca). These bears are recognized world-wide for their distinct black and white pattern, rounded faces with tufted ears and large eyes that immediately trigger our reaction to cuteness due to the similarity to cute characteristics in human babies [1, 2]. Their well-documented roly poly antics undoubtedly helps.